Notebook has been kept in its original order. The pages have been removed from the binder preservation, the binder has been retained as the inside cover has notes. Warren A. Chesterman was a graduate student in the Department of Architecture from Lynchburg, VA. According to the Fine Arts Bulletin for 1924, Mr. Chesterman had registered in the Second Term, but withdrew or asked for a leave of absence before the term ended. 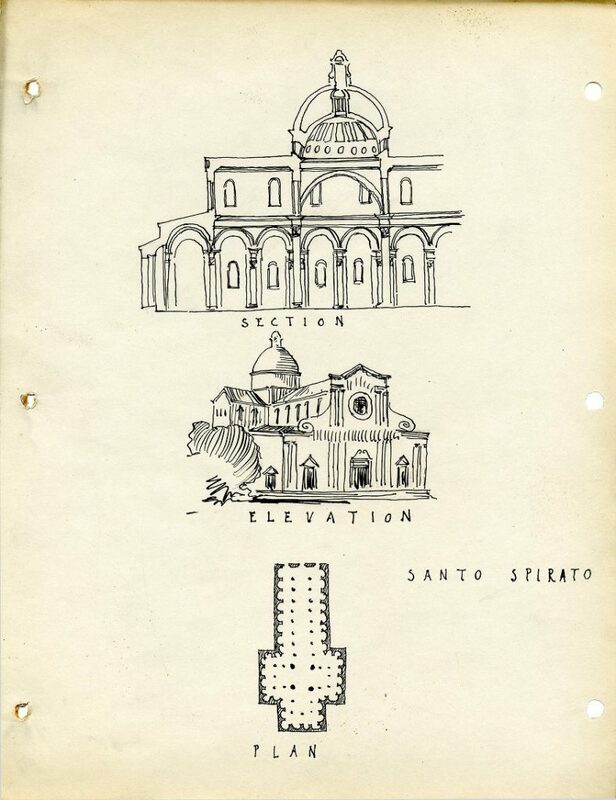 The Warrem Aibreu Chesterman Colleciton consists of his notebook for classes in the History of Italy, and the History of Architecture. Binder with notes inside cover.